This sampler has a rich border of yellow golden roses and leaves in sage green, with shimmering gold metallic threads. The names and anniversary date are added from the alphabet provided. Colours come threaded on a card so you do not need to spend time sorting them ~ so you can stitch away with no delay ! 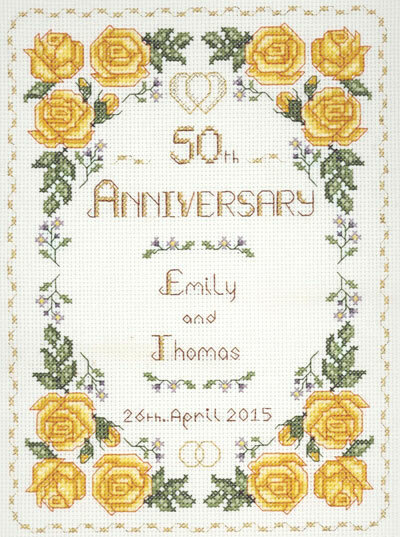 This 50th Anniversary Sampler kit is from the Decorative Textiles collection.